After I read Veronica's first book, Something Witchy This Way Comes, and her adult novella, Blind Date Checkmate, I was dying for something else to read from her! So when I got A Bite's Tale in an email, I literally squealed out loud in delight. 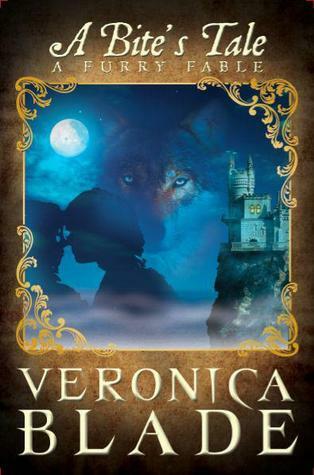 Even before I started reading it, I knew I would love it, because I love everything Veronica writes. This was an absolutely adorable take on the Cinderella story, with a well-written paranormal twist, and most importantly, a romance so sweet that your toes will curl in fan-girlish delight when you read the chemistry between Cydney and Remy. Even though it's obvious how the story will end, that didn't change the fact that I spent the whole novel biting my nails in anticipation, waiting for that time when Cydney and Remy would get reunited after so long apart, and realize that they were meant to be together. Even though this was a novella, so it's relatively short compared to a regular novel, I was still so emotionally invested in A Bite's Tale! Listen, if you want a really great book, just pick up A Bite's Tale. It's not expensive at all, and it's totally worth the money. READ IT! 5 out of 5 stars. The heat from his body warmed me and he leaned into me, wrapping his arms around my waist. I relaxed against him and let the back of my head fall against his chest. My eyes closed as I inhaled his scent. The metallic smell didn’t bother me so much anymore. In fact, now that it belonged to Jack, I found it enticing. I wanted to snuggle closer and get a good long whiff. The drawbacks of being a werewolf — we wanted to sniff everything. Want to read the book for yourself? Check out the links below! I need this book now!!! I just about swooned from the quotes!!! Great Review!! @Erika, please read it! It was so fantastic, I want the whole world to read it!!! Thanks for the lovely review, Ashley. A Bite's Tale is a captivating story about Cinderella and a Prince, but it's more than that. It has a little bit of everything, from werewolves, vampires, witches, and warlocks to love, heartbreak, anguish, threats, and promises.